Our mission is to build a lifetime relationship with our community and clients by exceeding their expectations through education, service, and solutions. Aqua Science doesn’t just have a mission statement; we live our mission every day. We strive to educate our clients about the science behind each of our recommendations. We offer solutions for water treatment, pool heating, patio misting, solar water heating and patio heating. Each product we provide is grounded in science and engineered to provide the best solution possible. We have worked diligently over the years to provide solutions that meet the needs of modern families. 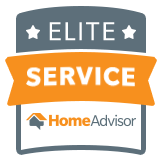 As a service-based company, we understand the importance of quality, timely service, and promise to do everything we can to ensure your experience is nothing short of excellent. Aqua Science President, Derek Sajdak has worked in the water treatment industry since 1991. In 1998, he founded Aqua Science. He continually studies solutions for water treatment. Derek thinks creatively, developing new products to meet the needs of customers. Aqua Science Vice President, Joseph Mumbach owned and operated another local water treatment company for over 30 years. Joseph strives to educate and grow the knowledge of the company’s service technicians so they can provide the best solutions to customers while in their homes. Both Derek and Joseph have a passion for providing solutions for water treatment to over 100,000 residential and commercial customers. In an effort to provide affordable, high-quality water treatment solutions to Phoenix residents, Derek and Joseph joined forces in 2008. Today, the Aqua Science product line has expanded to meet the new and emerging needs of our customers. In addition to salt-free and salt-based water softeners and reverse osmosis systems, we also offer outdoor misting solutions to cool off your backyard, pool heating solutions to warm your pool in our glorious fall, winter and spring months, patio heating to give you additional entertaining space, and general plumbing solutions to help you around the house. Aqua Science has been serving the community for over 30 years. The vision is still the same; to develop lifetime relationships with our community and clients by exceeding expectations through education, service, and solutions. Aqua Science is the #1 water treatment company in the valley.